Let’s not beat around the organic bush. Living a zero-waste lifestyle takes effort. I mean, you’re basically thumbing your nose at convenience. The thing is, convenience comes at a price, and it’s a lot more than the cost of your Starbucks grandé double-mocha with extra cream. Convenience means leaving a trail of single-use plastic in your wake. Adopting a zero-waste lifestyle might take some effort, but it’s not hard. If everyone carried these five items with them, we’d stem the tide of trash that we’re washing into our rivers and oceans. 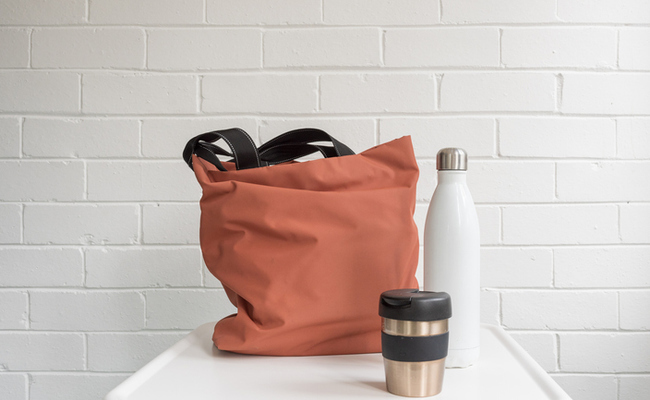 Given the amount of coffee and tea we indulge in on a daily basis, keeping a cup in your bag is a no brainer. The problem is, most reusable cups are unwieldy, especially if you’re a grandé double-mocha kind of person (and who isn’t?). The solution: Get a collapsible coffee mug. They’re leak-proof and much easier to stow than their bulky, full-sized cousins. How ingenious! Biodegradable straws are de rigueur in a lot of hippie and health-conscious establishments, but most mainstream outlets are still all about the bottom line. That approach doesn’t allow for anything other single-use plastic straws. The solution: Invest in some reusable straws. (One for you and the rest for your envious table mates.) You get all different types (stainless steel, silicon, glass, etc. ), but I like bamboo, because it’s best for the environment. More and more companies are turning plastic bottles into jackets, but that’s not a good enough reason to grab a bottle of Evian with your lunch. 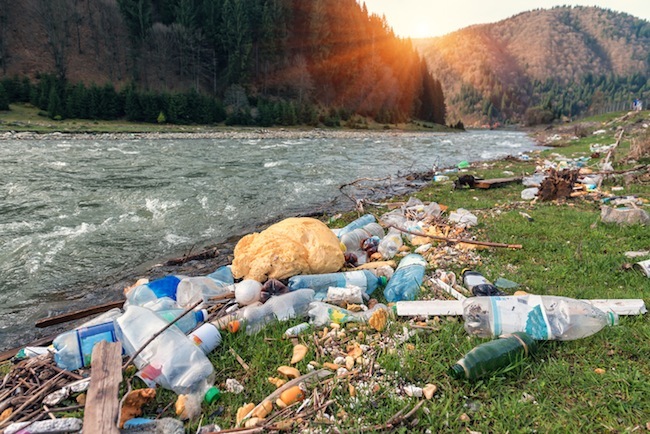 Plastic water bottle pollution is worse than you think, with only one in every six bottles being recycled (or downcycled, really). And that’s just the tip of a two million-ton iceberg. The solution: A filtered water bottle is the perfect workaround. You get to be a better human and have filtered water on tap. There are plenty to choose from, so it’s up to your budget and personal taste. More and more restaurants and eateries are joining the sustainability movement. It’s gratifying to see them providing wooden utensils rather than the usual plastic cutlery we’re accustomed to. But, like with straws, the movement is still in its infancy. The solution: Buy an on-the-go cutlery set. It’s worth spending the money on a quality kit, as a poorly made knife or fork that doesn’t do the job is enough to ruin a good lunch. Making your own food from scratch is better for your health, your budget and your zero-waste efforts. But let’s face it: not everyone has the time or the inclination to spend the weekend meal prepping. Maybe going to your favorite deli for lunch is how you indulge in ‘me time.’ Perhaps enjoying a meal out with friends and family is your preferred way to socialize. I get it. The solution: Get a lunch box/food container and ask the deli to serve your meal in there instead of their plastic takeout containers. And when you go out for dinner, guess where your leftovers go? Using these five items will drastically reduce the amount of trash you create on a daily basis. If this is all you did, you’d make a significant difference to the environment. You could stop there and still feel really good about your zero-waste efforts. If you want take your mission next level, though, you could switch up your beauty routine, shop at zero-waste stores and even try your hand at a little apartment composting. The next thing you know you’ll have been living a zero-waste for a full year. haven't used a single use carrier bag in years, always take my own bag for life.